The Midmark 491 power table positions patients exactly how you want them at the touch of a button. 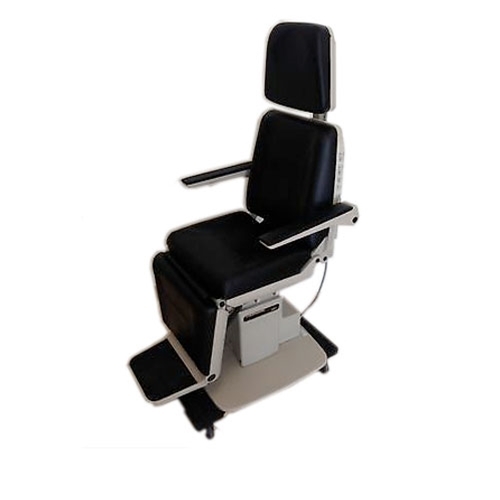 The low height ability of the chair, at only 22", is great for patient getting on and off the chair, as well as positioning them where you need them during a procedure. The power controls are on both sides of the chair, making adjust- ment easy and convenient. An optional foot control is also available. The back is operated at the touch of a button, as well as the height adjustment and the auto return feature. The base also rotates 330o for even more positioning flexibility. The chair is extremely stable, helping both the physician and patient feel confident and safe.